It’s a restaurant that serves peace and serenity, and a magnificent view, on top the delectable food on the menu. Just don’t go there when you are already extremely famished. Bear in mind the leisurely walk from the beach and on the several meters of bamboo bridge connecting to the several cottages located on top of the waters. Also, leave time allowance for cooking of the freshest food they are offering. Owned by the Lamac Cooperative that put up the group of resorts in the town, the place is a new place to hang out with friends and family. 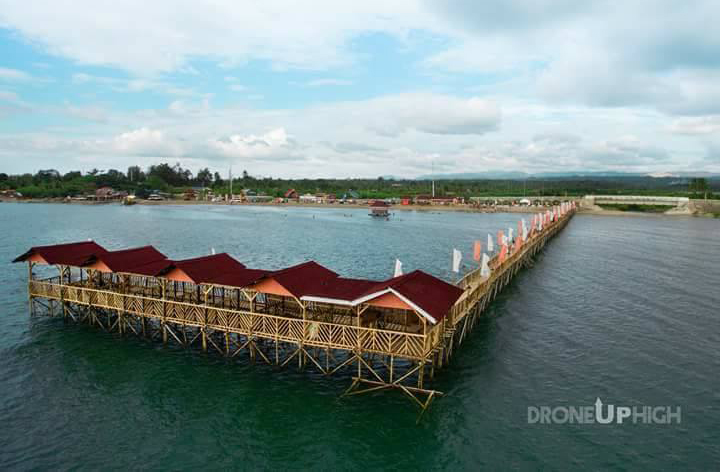 You may not be able to expect first class or five star facilities like those in modern, urban areas, but the Bugsay Resto Grill is a welcome addition to the public beach in barangay Tajao. The place features floating cottages, cottages on stilts, a restaurant, aquasports, and acoustic music. Whenever you happen to be in this part of Cebu’s Midwestern seaboard, you never have to worry about which restaurant to get safe and decent food. Be sure to drop by the Bugsay Resto Grill to fill yourself not only with food for the body. With the breathtaking sunrise and clean seabreeze, surely, dropping by the Bugsay Restor Grill will also be a good food for the soul.